After days of PR silence, Italian fashion label Max Mara has reportedly responded to one of their critics calling them out for ripping off designs from an ethnic Laotian group. 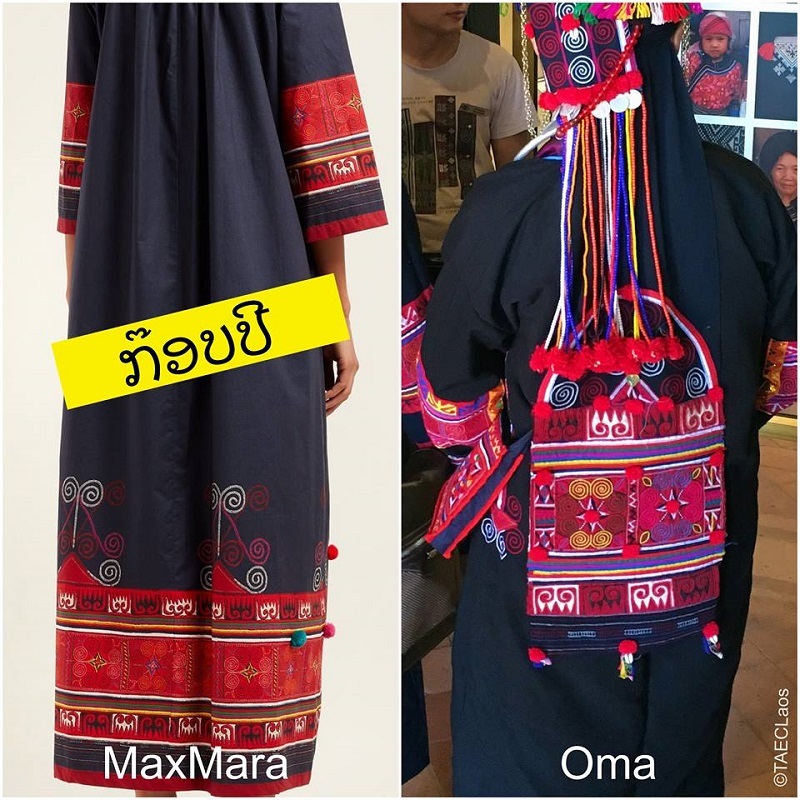 It has been over a week since Traditional Arts and Ethnology Centre (TAEC) in Luang Prabang, Laos exposed that a new Max Mara collection bore designs belonging to the Oma ethnic group. As TAEC pointed out, the Oma designs are traditionally used in their headscarves, jackets and leg wraps. However, the fashion label simply used these designs in their collection without even acknowledging that they originated from the Oma groups. 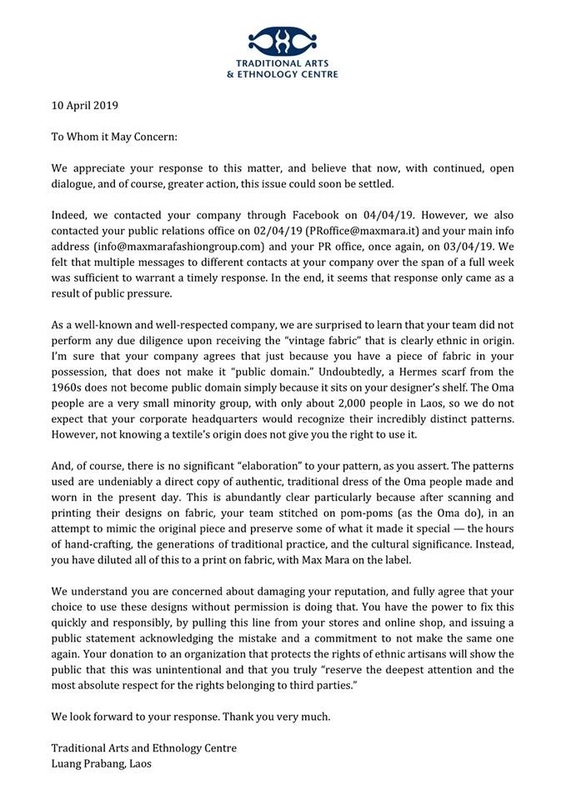 The Oma people, with support from TAEC, have been demanding Max Mara to not only pull the clothing line from its physical and online stores, but to also make a public commitment to not plagiarize cultural designs in the future. Max Mara has chosen to avoid making any public statements regarding the issue and instead contacted TAEC to take down their post. Since the brand requested to keep their message “confidential,” TAEC decided to post their own response to the message instead. After noting how Max Mara’s response was merely an apparent result of public pressure, TAEC reiterated its call of a public apology, commitment to not making a similar mistake, and the immediate removal of the controversial line from their physical stores and online website. The group has also set up an online petition via Change.org in a bid to make a collective statement directly to Max Mara CEO Luigi Maramotti.